This brief contains a correction. See page 6 of the PDF. American children and teenagers are 4 times more likely to die by gunfire than their counterparts in Canada, 7 times more likely than young people in Israel, and 65 times more likely to be killed with a gun than children and teenagers in the United Kingdom. 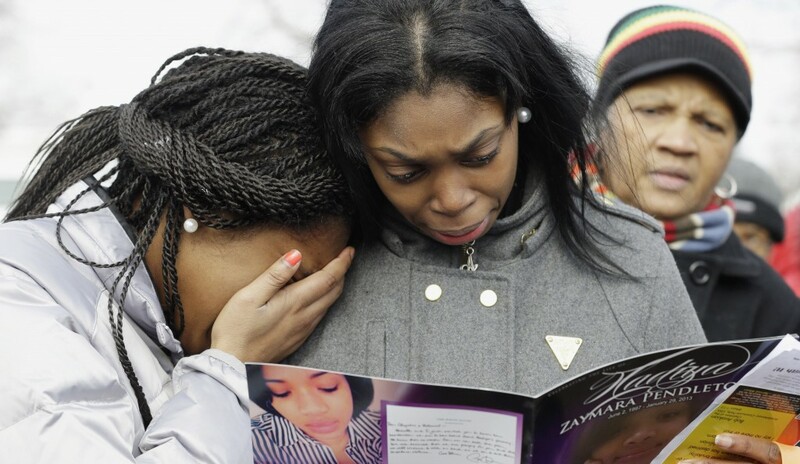 There is a crisis of youth gun violence in this country. Even though violent crime has steadily declined in recent years—overall violent crime declined 19 percent between 2003 and 2012, and the murder rate declined 17 percent during that period—rates of gun violence remain unacceptably high. On average, 33,000 Americans are killed with guns each year, and the burden of this violence falls disproportionately on young people: 54 percent of people murdered with guns in 2010 were under the age of 30. Young people are also disproportionately the perpetrators of gun violence, as weak gun laws offer easy access to guns in many parts of the country. Far too often, a gun not only takes the life of one young American but also contributes to ruining the life of another young person who pulls the trigger. And while guns play a role in so many deaths of America’s youth, very few public health research dollars are spent to understand the causes of this epidemic and develop policy solutions to address it. In the wake of the tragedy at Sandy Hook Elementary School in December 2012, the issue of gun violence has received renewed attention in this country, and many voices are now calling for solutions to this public health crisis. In this environment of increased focus on gun violence, Millennials’ voices are crucial. As discussed in detail below, young Americans suffer disproportionately from gun violence. Beyond the numbers, which are startling, the voices of young people must be heard and the stories told about the effect of this violence on their lives and communities. In this report, we present data on the disproportionate impact of gun violence on young people; discuss the prevalence of young people as perpetrators of such violence and the ramifications of involvement in the criminal justice system; and highlight poll numbers indicating that Millennials are increasingly concerned about the presence of guns in their communities. With an American under the age of 25 dying by gunfire every 70 minutes, we must all recognize that gun violence among youth is an urgent problem that must be addressed. Chelsea Parsons is the Associate Director for Crime and Firearms Policy at the Center for American Progress. Anne Johnson is the Executive Director of Generation Progress.